Bavaguthu Reghuram Shetty is an Indian born Billionaire settled in UAE and named as one of the 100 richest Indians in both 2015 and 2016. He is the founder of eleven different companies including, NMC Healthcare, UAE Exchange, Neopharma, Finablr and BRS Ventures. 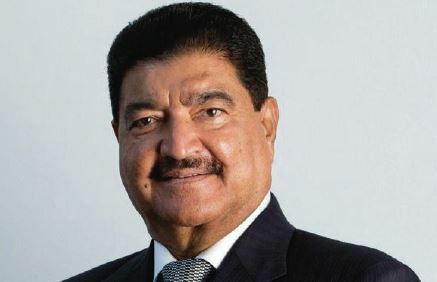 Former pharma salesman B. R. Shetty immigrated from Karnataka in south India to Abu Dhabi in 1973 to set up a healthcare empire. His net worth, as of March 2018 has been recorded as $4 Billion. In 2003, Shetty founded NMC Neopharma, a UAE based pharmaceutical manufacturer. Inaugurated by the then President of India, A. P. J. Abdul Kalam in Abu Dhabi, Neopharma is centred on using the concept of modular manufacturing following global benchmarks in manufacturing technology and putting in place efficient control mechanisms. Shetty is currently funding $150 million in India’s most expensive film. He also owns the 100th floor of the world’s tallest skyscraper, Burj Khalifa. Over the years, he has won many awards including, Entrepreneur of the year, CEO of the year and C3 Global Lifetime Achievement Award.